My bottle is about half empty now. Once it's all gone, I'll definitely be picking up more of it! Goes on smoothly and dries down without feeling greasy or tacky! I love bay rum scents in general and this is my favorite of the 6-7 I've sniffed and currently own. My face is very soft & supple for a good 12hrs+ when using this stuff. Simply fantastic! At $3.75 ounce, I'd say this is right on par with a fair amount of 4oz aftershaves on the market today. 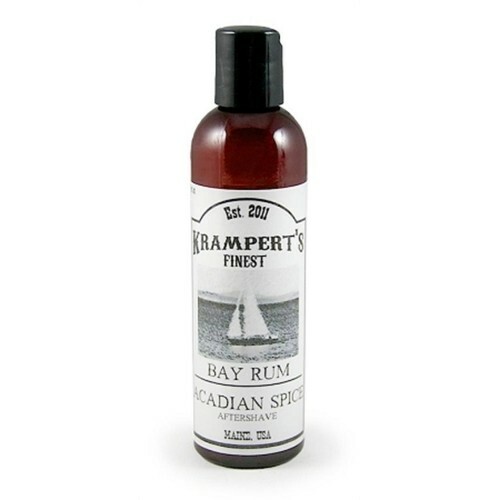 A very nice buy if you like bay rum alcohol splashes! The packaging is average. The bottle is simple and effective, while the label is straight forward. My knock is that the labels aren't waterproof - at least it wasn't when I bought mine a few years ago. I love Bay Rum. I wanted to enjoy this product. Even my wife prefers the Dominica over this. It is just so-so. Feels like witch hazel. Watery. Disappointed. I have quite a few Bay Rums; Dominica, Meehan, C. O. Bigelow, Captain's Choice, all of which have stronger, longer-lasting scents. Not sure here. $14.99 for 4oz of essentially witch hazel is expensive. I believe Brian when he says that he uses only the best ingredients. I just don't care for the combination and/or choice of said ingredients. OK. Not a big fan of the mini squeeze bottle. BTW, the label pictured no longer represents what you will receive.